In a survey of 2,500 workers across Europe, Accenture Strategy revealed that more than four times as many think of digital technologies as positively impacting their working lives as opposed to having a negative effect. Fifty-seven per cent think they will improve their working experience compared to 8% who think it will worsen it. Half of respondents believe these new innovations will improve their job prospects, versus only 12% who think it will limit them. Picture a drill operator who can now work remotely in a safe location instead of on site. Thanks to machines enabled by sensors and supported by data analytics, she can work alongside engineers to draw insights from the data gathered at the drill head to manage exploration and excavation with greater precision, environmental responsibility and productivity. Imagine a team of product engineers, using social media to rapidly turn customer reactions into new immediate prototypes thanks to 3D printing. And consider the way financial service providers can be freed from volume activity to address individual exceptions revealed by data. In this way, they can resolve challenges faced by particular customers and design more tailored solutions for them. This shift in focus from delivering mass products to delivering outcomes for customers places greater emphasis on talent. And our research shows that almost two-thirds of European workers claim to be assessing the new skills that will be required of them already and learning corresponding digital skills and tools. Bosses throughout Europe are more hesitant. They recognise the opportunities presented by digital, but they are not certain how to respond to the challenge. Nine in 10 accept that it is important to act now to transform their workforce for digital. However, while they see the lack of digital skills as the biggest obstacle to becoming a digital business, only one-third feel well prepared to recruit those skills or to change the skills and job mix of their workforce. As a result, just less than half (48%) claim to have a digital strategy for talent development. 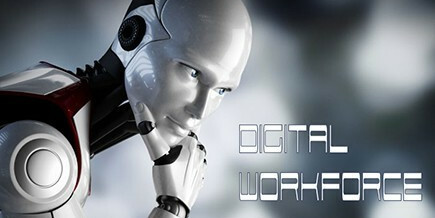 Experiment with new workforce technologies. Given the positive attitudes of employees, have confidence to accelerate the pace of change and experimentation with new technology-driven processes and practices. Actively engage the workforce in creating new ways of working. Shift from vertical to horizontal management. Digital will force a shift from vertical, top-down hierarchies to flatter organisations. Get ahead of competitors by making changes that use digital and social media to radiate horizontally to the edge of organisations more rapidly, giving workers greater autonomy in the process. Open up talent pools with digital. Use new platforms to identify unconventional sources of talent. For example, tap into the large number of retired professionals or working mothers to build a more flexible workforce of specific talent. We are living in an age when digital technologies are testing the limits of traditional organisations that have inflexible structures and processes. Employees are agile, open to change and willing to learn new skills. The digital revolution offers an opportunity to make more of latent talent, to open up its creativity and to satisfy its need for greater flexibility in working practices. As businesses set sail in digital waters, many fear their employees are the heavy ballast. Chances are they are the wind in the sails.